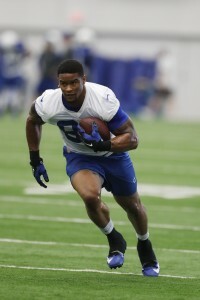 The Colts have placed tight end Brandon Williams on injured reserve. To take his place, the team is elevating safety Ronald Martin to the active roster. Williams suffered a scary head injury against the Broncos in Week 15. He was taken off the field on a backboard, but fortunately was able to rejoin his teammates at the Colts’ practice facility days later. Hopefully, he’ll be ready for offseason activities in 2018. Injury aside, this has been a strong year for Williams. As the Colts’ No. 2 TE, Williams hauled in 13 catches for 121 yards, topping his combined totals from the previous four seasons. The 3-11 Colts round out the season against the Ravens and Texans.